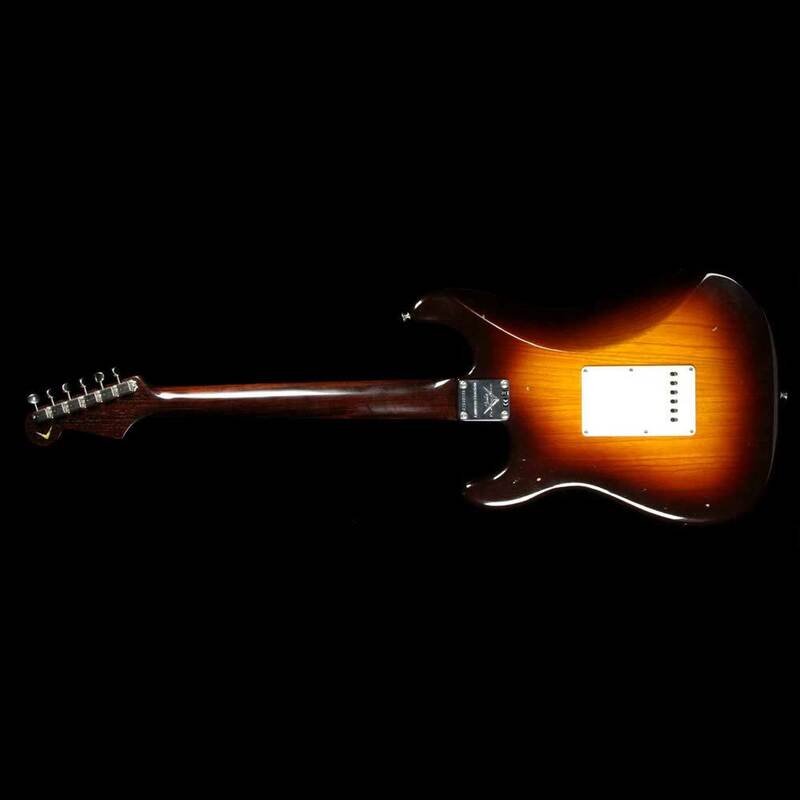 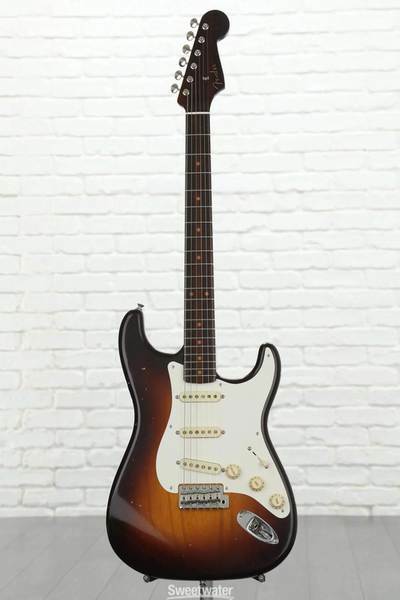 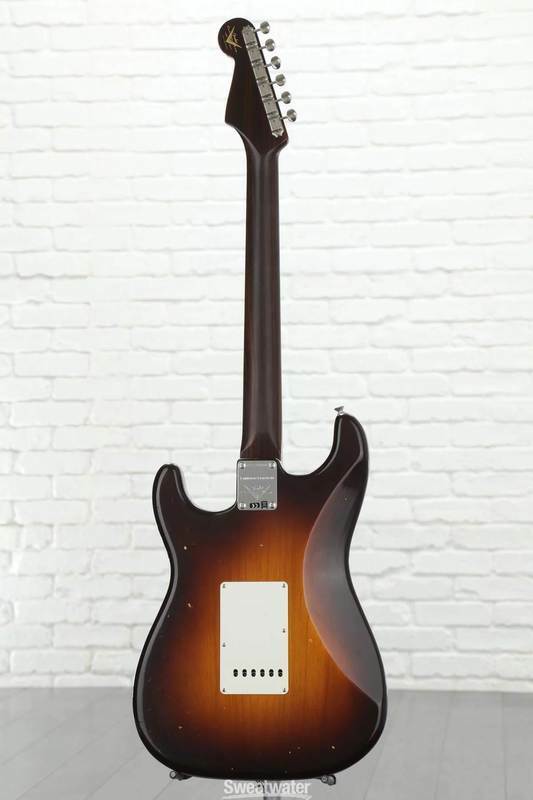 A sophisticated-looking instrument with a uniquely rich appearance, the Limited Edition Journeyman Relic ’57 Stratocaster Wide Fade Chocolate 2-Color Sunburst is a work of functional art. 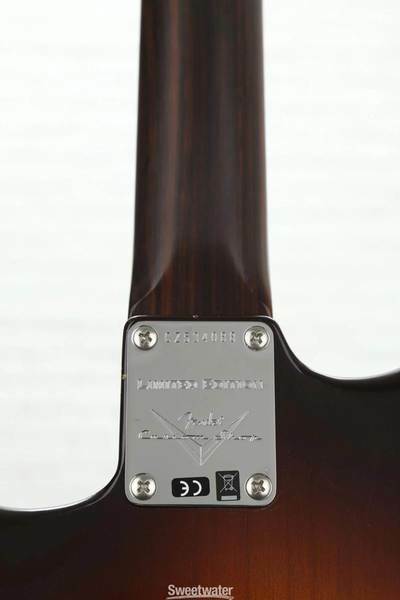 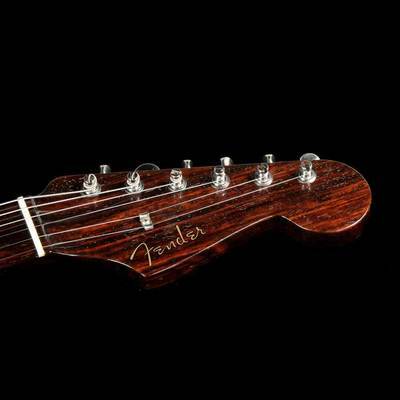 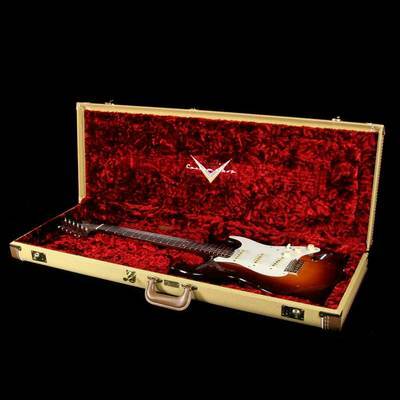 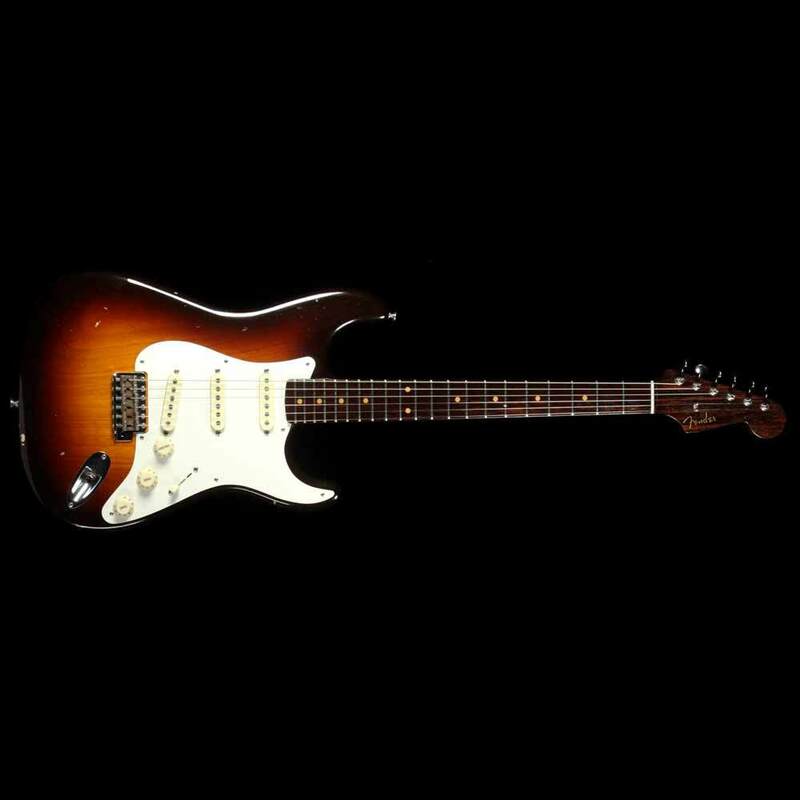 Marking the Fender Custom Shop’s 30th anniversary in style, this guitar is for players who want to add a touch of velvety warmth and spotlight-ready style to the classic feel and sound of a Stratocaster. 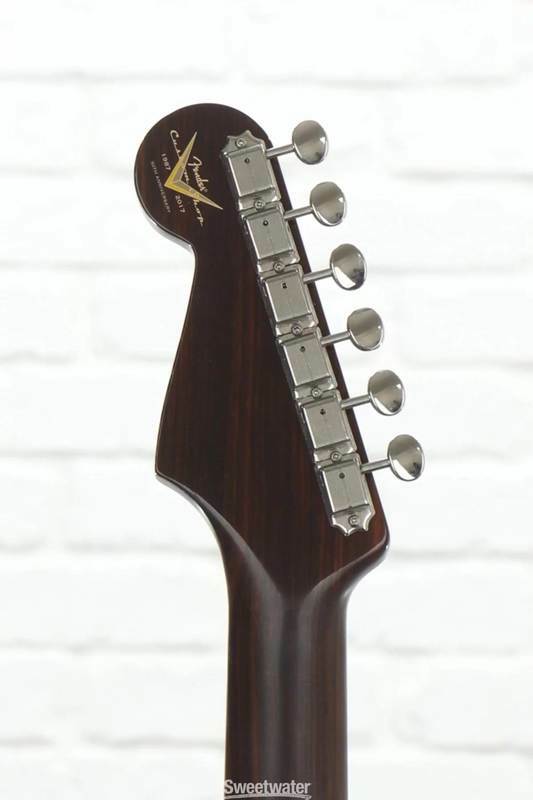 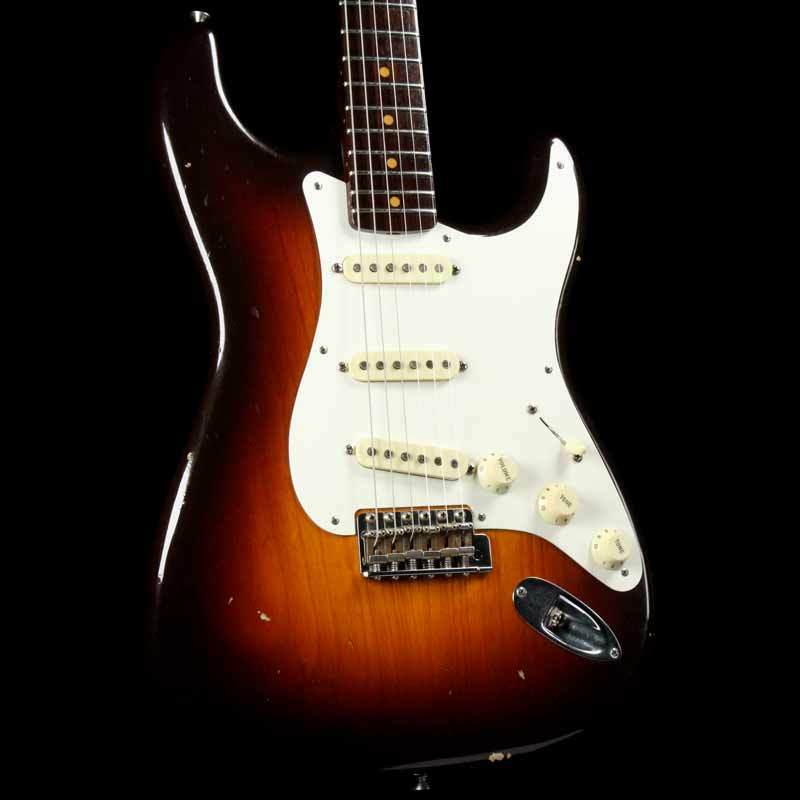 This Stratocaster marries a luxurious rosewood neck and modern 9.5”-radius AAA round-lam rosewood fingerboard to the features of a ’57 Strat. 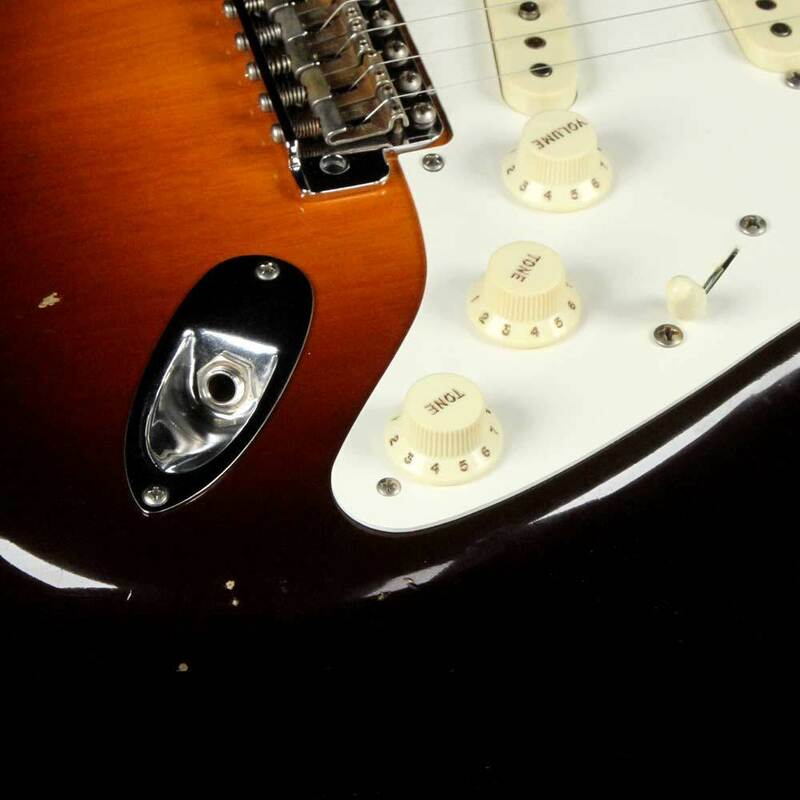 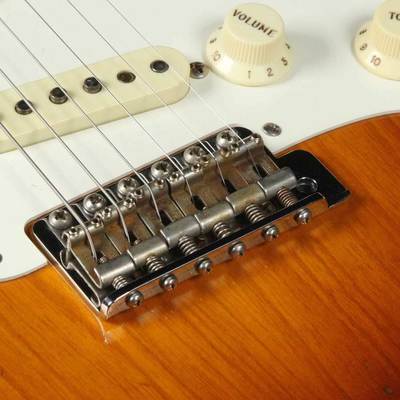 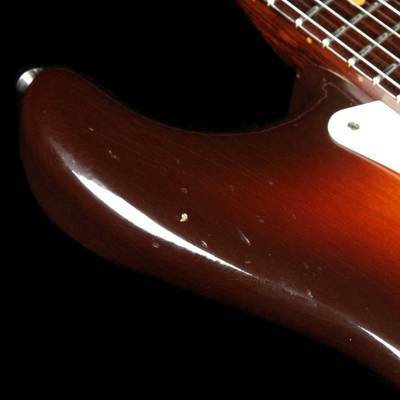 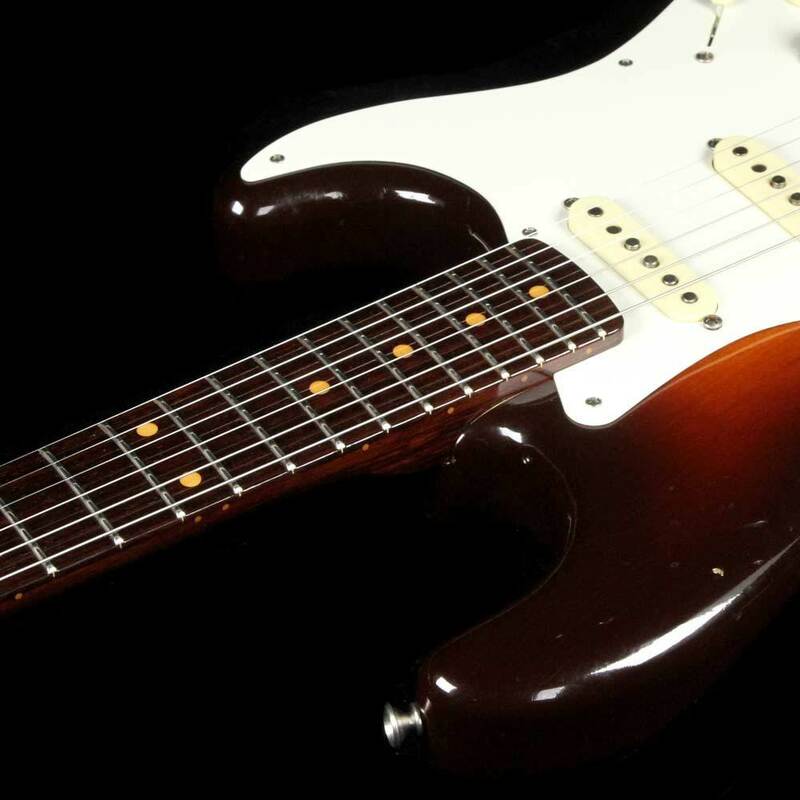 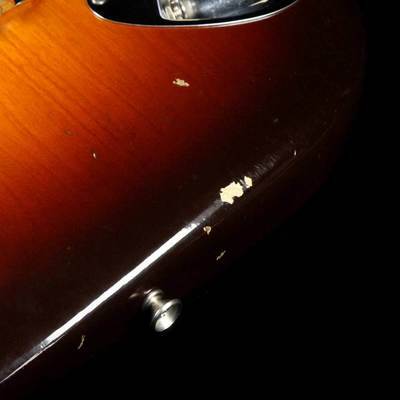 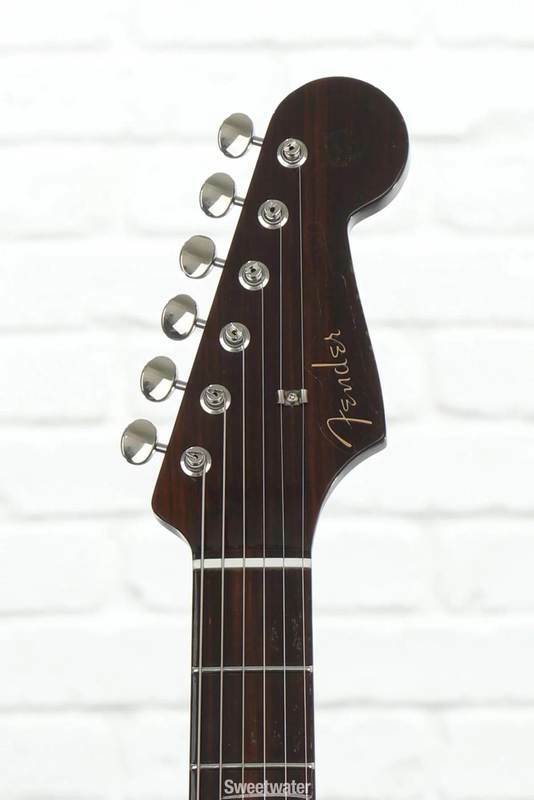 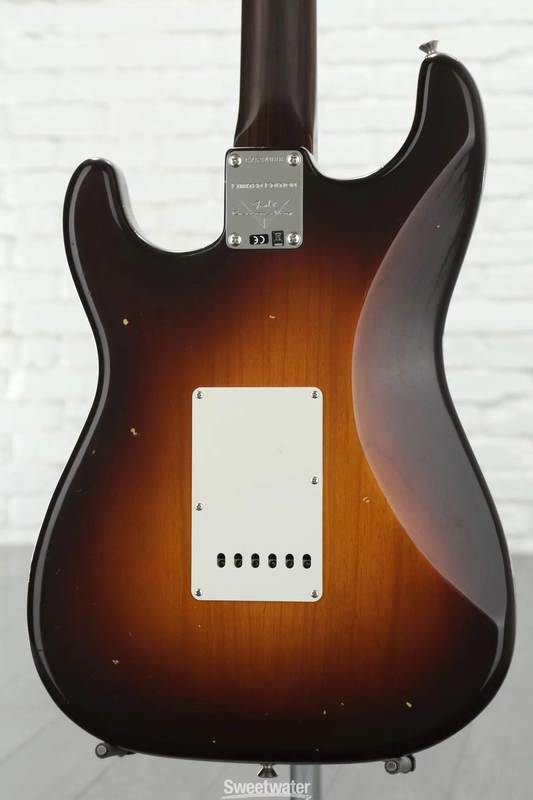 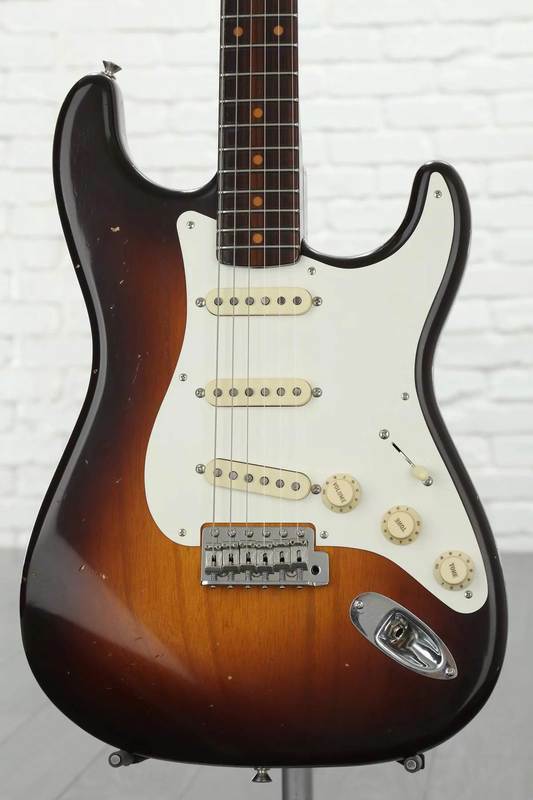 Three hand-wound Custom Shop ’57 Strat single-coil pickups (reverse-wound/reverse-phase middle pickup) work in conjunction with Vintage Modified #2 wiring (including the Tone-Saver treble-bleed circuit) to sing with the sweet sound that made the Strat a legend around the world.